Today’s blog post is the most fun I’ve EVER had writing a PyImageSearch tutorial. Me dressing up as Santa Clause! In keeping with the Christmas and Holiday season, I’ll be demonstrating how to take a deep learning model (trained with Keras) and then deploy it to the Raspberry Pi. This image classifier has been specifically trained to detect if Santa Claus is in our video stream. Well. I won’t spoil the surprise (but it does involve a 3D Christmas tree and a jolly tune). Enjoy the tutorial. Download the code. Hack with it. Today’s blog post is a complete guide to running a deep neural network on the Raspberry Pi using Keras. I’ve framed this project as a Not Santa detector to give you a practical implementation (and have some fun along the way). In the first part of this blog post, we’ll discuss what a Not Santa detector is (just in case you’re unfamiliar with HBO’s Silicon Valley “Not Hotdog” detector which has developed a cult following). We’ll then configure our Raspberry Pi for deep learning by installing TensorFlow, Keras, and a number of other prerequisites. What is a Not Santa detector? 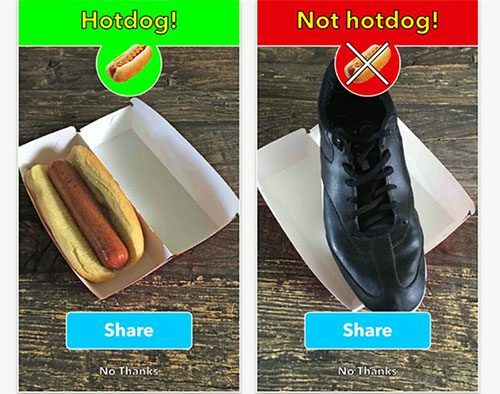 Figure 1: The Not Hotdog detector app from HBO’s Silicon Valley. I decided to have some fun myself. Today we are creating a Not Santa detector that will detect if Santa Claus is in an image/video frame. However, this application is not totally just for fun and satire! But before we can write a line of code, let’s first review the hardware we need. 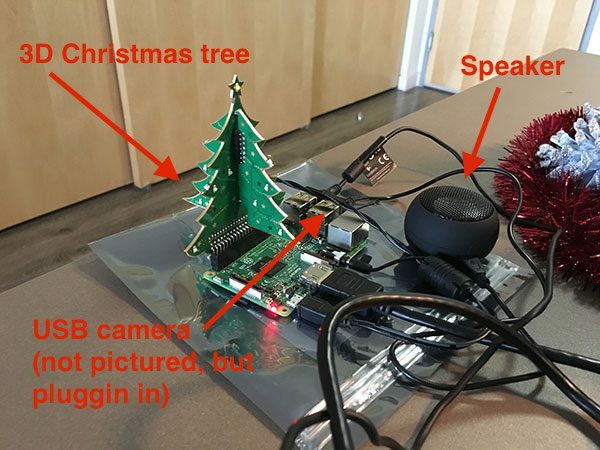 Figure 2: The Not Santa detector setup includes the Raspberry Pi 3, speakers, 3D Christmas tree, and a webcam (not pictured). The Pi has LeNet implemented with Keras in a Python script in order to detect Santa. Of course, you do not need all these parts. If you have just a Raspberry Pi + camera module/USB camera you’ll be all set (but you will have to modify the code so it doesn’t try to access the GPIO pins or play music via the speakers). Your setup should look similar to mine in Figure 2 above where I have connected my speakers, 3D Christmas Tree, and webcam (not pictured as it’s off camera). Figure 3: My deep learning setup includes the Raspberry Pi and components along with a keyboard, mouse, and small HDMI display. With this setup, we will surely catch Santa delivering presents in front of my tree. In the image above, you can see my Raspberry Pi, HDMI, keyboard, and Christmas critter friends keeping me company while I put together today’s tutorial. How do I install TensorFlow and Keras on the Raspberry Pi? Figure 4: We’re going to use Keras with the TensorFlow backend on the Raspberry Pi to implement a deep learning Not Santa detector. Last week, we learned how to train a Convolutional Neural Network using Keras to determine if Santa was in an input image. Today, we are going to take the pre-trained model and deploy it to the Raspberry Pi. As I’ve mentioned before, the Raspberry Pi is not suitable for training a neural network (outside of “toy” examples). However, the Raspberry Pi can be used to deploy a neural network once it has already been trained (provided the model can fit into a small enough memory footprint, of course). I’m going to assume you have already installed OpenCV on your Raspberry Pi. If you have not installed OpenCV on your Raspberry Pi, start by using this tutorial where I demonstrate how to optimize your Raspberry Pi + OpenCV install for speed (leading to a 30%+ increase in performance). Note: This guide will not work with Python 3 — you’ll instead need to use Python 2.7. I’ll explain why later in this section. 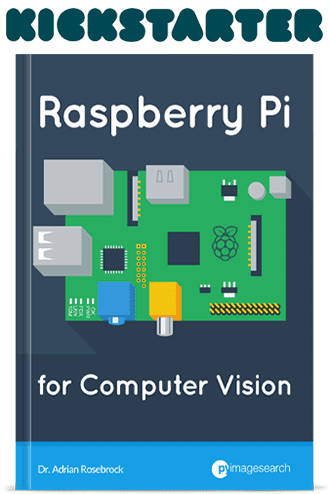 Take the time now to configure your Raspberry Pi with Python 2.7 and OpenCV bindings. In Step #4 of the Raspberry Pi + OpenCV installation guide, be sure to make a virtual environment with the -p python2 switch. From there, I recommend increasing the swap space on your Pi. Increasing the swap will enable you to use the Raspberry Pi SD card for additional memory (a critical step when trying to compile and install large libraries on the memory-limited Raspberry Pi). Notice that I am increasing the swap from 100MB to 1024MB. Note: Increasing swap size is a great way to burn out your memory card, so be sure to revert this change and restart the swap service when you’re done. You can read more about large sizes corrupting memory cards here. Now that your swap size has been increased, let’s get started configuring our development environment. Notice here how the -p switch points to python2 , indicating that Python 2.7 will be used for the virtual environment. If you are new to Python virtual environments, how they work, and why we use them, please refer to this guide to help get you up to speed as well as this excellent virtualenv primer from RealPython. 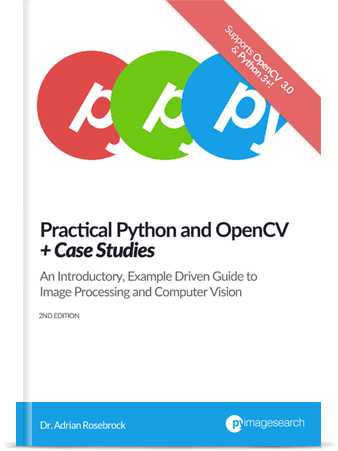 Again, make sure you have compiled OpenCV with Python 2.7 bindings. You’ll want to double-check your path to your cv2.so file as well, just in case your install path is slightly different than mine. If you compiled Python 3 + OpenCV bindings, created the sym-link, and then tried to import cv2 into your Python shell, you will get a confusing traceback saying that the import failed. Important: For these next few pip commands, be sure that you’re in the not_santa environment (or your Python environment of choice), otherwise you’ll be installing the packages to your Raspberry Pi’s system Python. From there, you’ll see “ (not_santa)” at the beginning of your bash prompt. We are now ready to install TensorFlow on your Raspberry Pi. The problem is that there is not an official (Google released) TensorFlow distribution. Or we can use the pre-compiled binaries created Sam Abrahams (published on GitHub). The Raspbian Stretch distribution (the latest release of the Raspbian operating system at the time of this writing) ships with Python 3.5 — we, therefore, have a version mismatch. To avoid any headaches between Python 3.4 and Python 3.5, I decided to stick with the Python 2.7 install. While I would have liked to use Python 3 for this guide, the install process would have become more complicated (I could easily write multiple posts on installing TensorFlow + Keras on the Raspberry Pi, but since installation is not the main focus of this tutorial, I decided to keep it more straightforward). Note: You will need to expand the code block above to copy the full URL. I recommend pressing the “<>” button before you copy the commands. I Install HDF5 + h5py without the time command running so I can’t remember the exact amount of time it took to install, but I believe it was around 30-45 minutes. The SciPy install in particular will take a few hours so make sure you let the install run overnight/while you’re at work. It is very important that you install Keras version 2.1.5 for compatibility with TensorFlow 1.1.0. If all goes as planned you should see Keras imported using the TensorFlow backend. As the output above demonstrates, you should also double-check that your OpenCV bindings ( cv2 ) can be imported as well. Restarting the swap service (as we discussed earlier in this post). As mentioned in the note above, setting your swap size back to 100MB is important for memory card longevity. If you skip this step, you may encounter memory corruption issues and a decreased lifespan of the card. Figure 5: Running a deep learning model on the Raspberry Pi using Keras and Python. We are now ready to code our Not Santa detector using Keras, TensorFlow, and the Raspberry Pi. Again, I’ll be assuming you have the same hardware setup as I do (i.e., 3D Christmas Tree and speakers) so if your setup is different you’ll need to hack up the code below. keras is used to preprocess input frames for classification and to load our pre-trained model from disk. 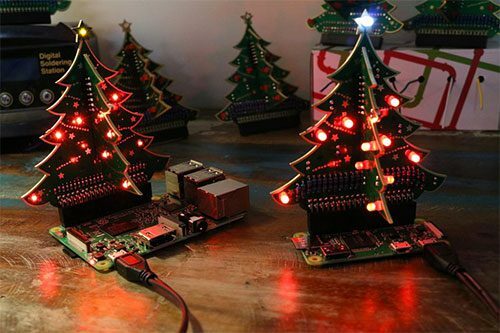 gpiozero is used to access the 3D Christmas tree. imutils is used to access the video stream (whether Raspberry Pi camera module or USB). threading is used for non-blocking operations, in particular when we want to light the Christmas tree or play music while not blocking execution of the main thread. 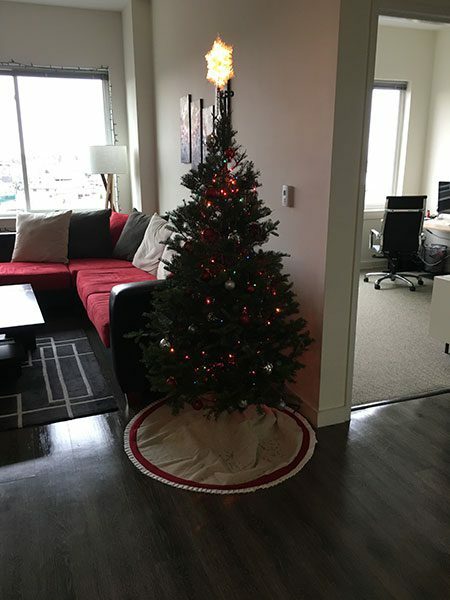 Our light_tree function accepts a tree argument (which is assumed be an LEDBoard object). First, we loop over all LEDs in the tree and randomly light each of the LEDs to create a “twinkling” effect (Lines 17-19). We leave the lights on for a period of time for some holiday spirit (Line 23) and then we loop over the LEDs again, this time turning them off (Lines 26-28). Figure 6: The 3D Christmas tree for the Raspberry Pi. You can get yours from Pi Hut (photo credit: Pi Hut). In the play_christmas_music function, we make a system call to the aplay command which enables us to play a music file as we would from the command line. Using the os.system call is a bit of a hack, but playing the audio file via pure Python (using a library such as Pygame) is overkill for this project. Lines 38 and 39 hardcode paths to our pre-trained Keras model and audio file. Be sure to use the “Downloads” section of this blog post to grab the files. We also initialize parameters used for detection which include TOTAL_CONSEC and TOTAL_THRESH . These two values represent the number of frames containing Santa and the threshold at which we’ll both play music and turn on the tree respectively (Lines 43 and 44). The last initialization is SANTA = False , a boolean (Line 47). We’ll use the SANTA variable later in the script as a status flag to aid in our logic. Keras allows us to save models to disk for future use. Last week, we saved our Not Santa model to disk and this week we’re going to load it up on our Raspberry Pi. We load the model on Line 51 with the Keras load_model function. Our tree object is instantiated on Line 54. As shown, tree is an LEDBoard object from the gpiozero package. To access the camera, we’ll use VideoStream from my imutils package (you can find the documentation to VideoStream here) on either Line 58 or 59. Important: If you’d like to use the PiCamera module (instead of a USB camera) for this project, simply comment Line 58 and uncomment Line 59. On Line 63 we start looping over video frames until the stop condition is met (shown later in the script). First, we’ll grab a frame by calling vs.read (Line 66). Then we resize frame to width=400 , maintaining the aspect ratio (Line 67). We’ll be preprocessing this frame prior to sending it through our neural network model. Later on we’ll be displaying the frame to the screen along with a text label. Lines 70-73 preprocess the image and prepare it for classification. 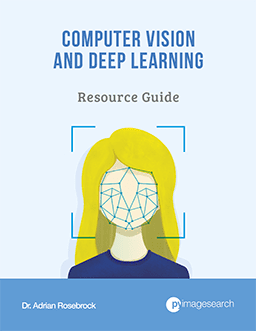 To learn more about preprocessing for deep learning, be sure to check out the Starter Bundle of my latest book, Deep Learning for Computer Vision with Python. From there, we query model.predict with our image as the argument. This sends the image through the neural network, returning a tuple containing class probabilities (Line 77). We initialize the label to “Not Santa” (we’ll revisit label later) and the probability, proba , to the value of notSanta on Lines 78 and 79. On Line 83 we check if the probability of santa is greater than notSanta . If that is the case, we proceed to update the label and proba followed by incrementing TOTAL_CONSEC (Lines 85-90). Create and start a treeThread to twinkle the Christmas tree lights (Lines 98-100). Create and start a musicThread to play music in the background (Lines 103-106). These threads will run independently without stopping the forward execution of the script (i.e., a non-blocking operation). You can also see that, on Line 95, we set our SANTA status flag to True , implying that we have found Santa in the input frame. In the next pass of the loop, we’ll be looking at this value as we did on Line 93. The probability value is appended to the label containing either “Santa” or “Not Santa” (Line 115). Then using OpenCV’s cv2.putText , we can write the label (in Christmas-themed green) on the top of the frame before we display the frame to the screen (Lines 116-120). The exit condition of our infinite while loop is when the ‘q’ key is pressed on the keyboard (Lines 121-125). If the loop’s exit condition is met, we break and perform some cleanup on Lines 129 and 130 before the script itself exits. That’s all there is to it. Take a look back at the 130 lines we reviewed together — this framework/template can easily be used for other deep learning projects on the Raspberry Pi as well. Now let’s catch that fat, bearded, jolly man on camera! In last week’s blog post we tested our Not Santa deep learning model using stock images gathered from the web. But that’s no fun — and certainly not sufficient for this blog post. Figure 7: Me, Adrian Rosebrock, dressed up as Santa. I’ll be personally testing our Not Santa detector, built using deep learning, Keras, Python, and and OpenCV. I’m a far cry from the real Santa, but the costume should do the trick. Figure 8: My very own Christmas tree will serve as the background for testing our Not Santa detector deep learning model which has been deployed to the Raspberry Pi. If Santa comes by to put out some presents for the good boys and girls I want to make sure he feels welcome by twinkling the 3D Christmas tree lights and playing some Christmas tunes. To follow along, make sure you use “Downloads” section below to download the source code + pre-trained model + audio file used in this guide. 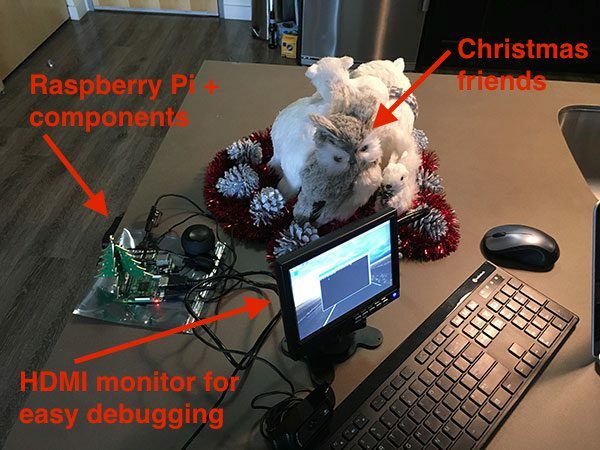 Figure 9: Successfully detecting Santa in a video stream using deep learning, Python, Keras, and a Raspberry Pi. Whenever Santa is detected the 3D Christmas tree lights up and music starts playing! (which you cannot hear since this is a sample GIF animation). Whenever Santa enters the scene you’ll see the 3D Christmas tree display turn on followed by a jolly laugh emitting from the Raspberry Pi speakers (audio credit to SoundBible). Our deep learning model is surprisingly accurate and robust given the small network architecture. I’ve been good this year, so I’m sure that Santa is stopping at my apartment. I’m also more confident than I’ve ever been about seeing Santa bring some presents with my Not Santa detector. Before Christmas, I’ll probably hack this script (with a call to cv2.imwrite , or better yet, save the video clip) to make sure that I save some frames of Santa to disk, as proof. If it is someone else that puts presents under my tree, I’ll certainly know. Dear Santa: If you’re reading this, just know that I’ve got my Pi on you! In today’s blog post you learned how to run a Keras deep learning model on the Raspberry Pi. To accomplish this, we first trained our Keras deep learning model to detect if an image contains “Santa” or “Not Santa” on our laptop/desktop. We then installed TensorFlow and Keras on our Raspberry Pi, enabling us to take our trained deep learning image classifier and then deploy it to our Raspberry Pi. While the Raspberry Pi isn’t suitable for training deep neural networks, it can be used for deploying them — and provided the network architecture is simplistic enough, we can even run our models in real-time. To demonstrate this, we created a Not Santa detector on our Raspberry Pi that classifies each individual input frame from a video stream. If Santa is detected, we access our GPIO pins to light up a 3D Christmas tree and play holiday tunes. 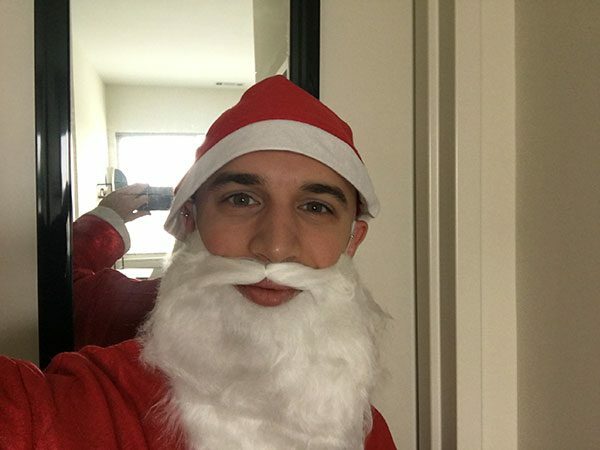 I hope you had fun learning how to build a Not Santa app using deep learning! 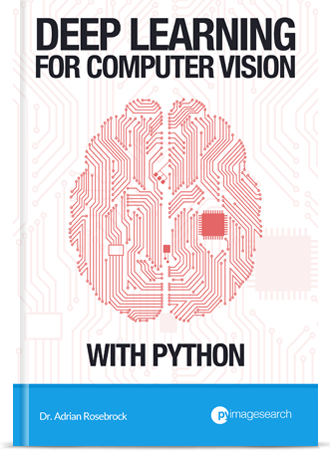 …then you’ll want to take a look at my new book, Deep Learning for Computer Vision with Python. Hands-on tutorials (with lots of code). Detailed, thorough guides to help you replicate state-of-the-art results from popular deep learning publications. To learn more about my new book (and start your journey to deep learning mastery), just click here. Otherwise, be sure to enter your email address in the form below to be notified when new deep learning post are published here on PyImageSearch. Wow, thank you for the christmas gift..merry christmas…!! Merry Christmas to you as well, Barath! Otherwise you might have to dress up as Santa 😉 Merry Christmas and Happy Holidays to you and your daughters. Thank you Adrian! Merry Chrismas to you as well! Really AWESOME, enjoyed reading your blog. Merry Christmas ! I’m glad you enjoyed it Siddharth! A Merry Christmas to you as well. its really awesome, keep it up. What a thoughtful gift. I really appreciate this! Adrian, you keep giving us surprise after surprise. This post is a wonderful Christmas gift..
Best Regards and Merry Christmas to you and all your fans!!! This is exactly the kind of training children ( & adults ) need to get into technology. I hope in 2018 we can see you on Udemy or other platforms. Out of curiosity, why would you like to see me on Udemy versus publishing my content here on PyImageSearch? Would you mind share your souce code which train the model on desktop/laptop ? Absolutely. Please see my previous post. I also cover how to train your model models inside my book, Deep Learning for Computer Vision with Python. No word for the blog. if international banking was accepted in my country i will definitely donate for it. I think Keras implementation of SSD or YOLO like what you did in LeNet is very important if you consider them in your next blogs because they are new and efficient object detection architectures. Hi Adrian, it’s a very nice tutorial with clear explanation. How can I extend this and show where exactly the Santa is in the video frame? I am new to Keras. What you are referring to is “object detection”. I would suggest starting with this blog post to familiarize yourself with object detection + deep learning. I cover object detection and deep learning in more detail inside my book, Deep Learning for Computer Vision with Python. This book will also help if you are new to Keras. I hope that helps! I need to count how many times Santa came to my house in 2 hours for example. but I do not have internet access, is there any time library to do this? Ggreat tutorial but what about if it gets the answer wrong, could we tell it yes/no and it updates and learns so it gets it correct next time? You could potentially fine-tuning over time but I wouldn’t recommend it using this model. Instead it would be best to gather additional training data and use a more robust model with higher resolution images. I’m curious that if it is possible to throw the real-time streaming to your own PC and can supervise remotely on website or somewhere. Will you make that post? I would appreciate if you have that tutorial. Hey Reed — I do not have any tutorials on streaming the output of a particular script to a PC or website, but I’ll make sure to cover that in a future blog post. Adrian, a great tutorial as always. This tutorial is used to distinguish between only “Santa” and “Not Santa”, what if we have more than one class? How much code needs to be changed or is it even possible in this tutorial? Change “binary_crossentropy” to “categorical_crossentropy” in the loss function. Provided you use the same directory structure as me nothing else needs to be changed. If you’re interested in learning more about training your own custom CNNs, take a look at Deep Learning for Computer Vision with Python. Adrian, thank you for another fantastic article. I hope you’ve had a good Christmas. I have setup my OpenCV environment on my Pi3, but have accidentally used Python 3 before I read down further to see you say to use Python 2.7. Can I just run something like mkvirtualenv cv2 -p python2 and setup another environment or will there be any issues going forward? Am I better to just start over? Adrian, I have just completed the Python 2.7 setup of open CV and then worked through this article as far as the “test your configuration”. I couldn’t import “gpiozero”, despite running “sudo pip install RPi.GPIO gpiozero” whist in the virtualenv. I checked the site-packages and couldn’t see it in there. When I re-ran the command, I left of “sudo” and that seemed to install it correctly ->”pip install RPi.GPIO gpiozero”. My OpenCV version is 3.4.0 and Keras is 2.1.2 . Not sure why other people haven’t run into this yet? Is there something wrong with my setup possibly? What is the FPS of 1 Raspberry Pi 3 if the picture is 1080P? My company want to find a low-cost solution for object detection. Given tensorflow have published tensorflow lit and your post, maybe this is a way to go. The Pi would certainly be low cost, but it’s not really fast enough for object detection as I discuss in this post. I do not recommend using sudo apt-get install. In most cases you’ll install older versions of the library. Furthermore, this method will not work if you use Python virtual environments (which we do extensively on the PyImageSearch blog). In newer versions of Raspbian Python wheels are being pre-built and cached so they can be installed faster. I highly recommending using pip install. To start you would need to gather your dataset. The data you gather will determine if this project is successful. Have you gathered your fruits + vegetables dataset yet? I would recommend 500-1,000 images per class to get started. The architecture we are using here, LeNet, accepts only 28×28 pixel inputs. It will have a higher false-positive rate for images that contain a lot of red. I provide suggestions on how to remedy this in previous post in the series. 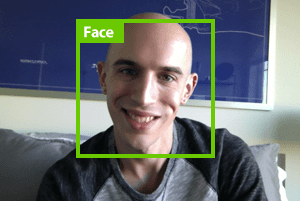 You can use Keras for face recognition if you wish (you’ll just need example images of your face). I cover face recognition inside the PyImageSearch Gurus course. You can learn how to train your own custom Keras models on your own custom datasets inside Deep Learning for Computer Vision with Python. Q1. Will just changing input dataset and using leNet work? Q2. If i have a terminal error output which i cannot understand and need your help to “decipher” do I post here or where? Q3. How many images and what google image search query like “person smoking” will be the best acc to you for grabbing data? 1. That really depends on your input dataset. The LeNet architecture only accepts 28×28 input images. You may need larger spatial dimensions for your images in which case a different architecture may be required. I would suggest working through Deep Learning for Computer Vision with Python where I discuss how to work with your own custom datasets and train your own networks. 2. I do my best to help readers for free on this blog but please do not abuse the privilege. If your question can be answered by another blog post, tutorial, or book I have written I’ll likely point you towards those in that situation. If you have a significant number of questions you’re asking I’ll ask you to kindly work through my book to (1) help support the PyImageSearch blog and (2) address your questions with deep learning. 3. I would recommend starting with 300-500 images and increasing if necessary. I need to create a bounding box around the detection in real-time. How can I do that? I would suggest using real-time object detectors. I demonstrate how to train your own custom real-time object detectors with deep learning inside Deep Learning for Computer Vision with Python. However, on the Raspberry Pi you’ll likely be limited to ~1 FPS. It’s just not fast enough unless you’re using a Movidius, which you may get up to 8 FPS. The way a lot of the object detection neural networks work is they split the image up into many cells and perform a classification on each cell. So as Adrian pointed out it is many times slower than doing just one classification on the original image, especially if you resize the original image. Other method to speed up neural networks is to quantize them (compress the floating point values to 8 bit). To do that with a Tensorflow model you must use what is called Tensorflow Lite. I have done that to my model but still have a latency of 200ms on a RPi 3 B+. I am wondering how OP got such high frame rates? See my reply to “HARD-soft” on February 17, 2018. Hi Adrian we have this error while running your code after setting up our environment well. It looks like OpenCV cannot read the frames from your Raspberry Pi camera module/USB webcam. Double-check that OpenCV can access the video stream. Additionally, take a look at this blog post where I discuss “NoneType” errors (and how to resolve them) in more detail. Thank you Adrian, yes we also came to the same answer and it was occurred due to UV4l library which was at the autostart hence reserving the camera port and making it unavailable to not_santa…py. we used uv4l for audio streaming. so we have completely removed uv4l. Now is there any way for adding a 2 way real-time audio conferencing package/module while running not-santa-detector.py on autostart. I’m not familiar with real-time audio streaming. Unfortunately I’m not sure on the best way to accomplish this. I’m sorry I couldn’t help more! During the install of scipyI keep getting an error. I believe it is tied to my numpy install but I am not sure what I am doing wrong. My numpy says it is up-to-date. It looks as though some packages have not been installed that scipy depends on in the numpy download. I get errors like Error: library dfftpack has Fortran sources but no Fortran compiler found. and Libraries mkl_rt not found in …..
Hey Caleb — I haven’t encountered that particular error before. Can you please share a link to a GitHub Gist that includes the full terminal output? Here is a link to the issue. Let me know if this is enough. The error went outside the amount command line would let me copy. If you know how to get more history I can go get more of the error. however when I run this code it ends in a 404 mirror can’t be found. I’m sorry I could not be of more help here! this code works with opencv 3.1? because the raspian image (I bought your practical opencv course) uses that version. Hey Claudio — yes, this code will work with OpenCV 3.1. The Raspbian .img file was also updated to use OpenCV 3.4. I followed your tutorials, and I can successfully recognize the object I specialized it for except not from very far away. When moving about three feet away from the object, it is no longer recognized. Any idea how to improve this or what I may have done wrong? Also, thank you for all your blog posts. They’ve really helped me to become more familiar with Tensorflow and neural nets! The model used in this blog post (LeNet) only accepts images that are 28×28 pixels which is very small. It’s likely that once you are 3 feet away from your object that the object is essentially “invisible” due to the small image. I would suggest using a model architecture that accepts larger input images, perhaps 64×64, 128×128, or 224×224 input images. I cover how to code, build, and train these larger networks inside Deep Learning for Computer Vision with Python. Your project is very interesting and I am planning to customize it for my final year project. In your project, you made the camera detect Santa based on a set of images that the model has been trained for. What if I customize the model to detect insects? Would that work if I just change the images to those of insects to train the model to detect insects instead? Keeping aside the fact that insects can very small or fast-moving. Because on the video recording, I might point a pic to an insect and see if the camera detects it as an insect. I have checked out your post https://www.pyimagesearch.com/2017/10/16/raspberry-pi-deep-learning-object-detection-with-opencv/ but considering the frame rate, I don’t think I would go for that. Correct, you would just change the directory structure to include a directory named “ant”, “beetle”, etc. and then have example images for each insect inside of their respective directories. hello adrian ı want to work eye blink detection with tensorflow on raspberry pi can you help me ? or can you share example project ? You don’t actually need TensorFlow for blink detection. For a sample blink detection project, see this post. That depends on any microcontrollers you are working with. You would need to read the docs for your specific relay. In any case, Lines 97-106 would be were you would want to pass any information on to your relay. Ya! I got. It’s working!! tensorflow-1.1.0-cp27-none-linux_armv7l.whl is not a supported wheel on this platform. Hey Huna — I’m not sure what the error may be here. You should contact the GitHub user who put together the .whl file. hey Adrian, I am a huge fan. Keep up the great work. I tried running the code but I got an error because cv2.putText() function(line no. 116) returned None object. when I went through the documentation (https://docs.opencv.org/2.4/modules/core/doc/drawing_functions.html) of the function It was clearly stated that it returns None. So I removed the LHS of the assignment and the code ran perfectly. Can you please look into it?? Anyways great tutorial …helped me tonnes. Hey Ankur — can you clarify which version of OpenCV + Python you are using? I’m wondering if there is a difference with the LHS assignment for the drawing functions between OpenCV versions. hey adrian, i tried to use ip webcam app from android as camera, it’s very slow. Sorry, I have not worked with streaming frames from an Android camera before. You might want to look into how to more efficiently stream the frames, perhaps some sort of optimization on the Android system. All these commands are written on Raspberry Pi terminal ? right? since the pertained network is stored on the laptop, then how can I load it to raspberry pi? Hey, I was trying to use ModelCheckPoint to save the intermediate checkpoints. But I am getting an error: TypeError: fit_generator() got an unexpected keyword argument ‘callback’. Do you have any idea regarding it ? The keyword argument is “callbacks” not “callback”. Make sure you check the Keras docs if you run into keyword argument errors. Thanks for your post Adrian. I want to display the number of detected Santas in a WebApp (assuming we are getting more Santas in Chrismas LOL ) . I need to log the the count to a simple database ( ex: XML file) so I can read the data from it and display it in the WebApp. How should I modify your code for that. Sorry I’m totally new to this. Thanks..
It’s awesome that you are interested in studying deep learning and computer vision — I really believe you are making a wise decision, Umaria. That said, I would encourage you to develop your programming skills so you can take on projects like these. The additions you are mentioning have very little to do with computer vision and more so with general logic flow, knowledge over libraries, and programming skills. Invest in your programming skills and over time you will be able to build your app. I’m trying to install scipy to my Raspberry Pi Zero W but it’s taking forever. How much times usually it takes In this board? I’m installing in my virtualenv using pip install scipy. I really don’t recommend using a Pi Zero W for deep learning. That said, installing SciPy on a Pi Zero W could easily run overnight. when you run the code, it takes about 20s for raspberry pi to load the model, this is quit slow process, is there any way which i can integrate the model to the virtual environment so that it’s loaded with the enviroments, so that it doest has to be load every single time. There is an unavoidable TensorFlow/Keras initialization and model loading at the beginning of the script. This initialization/loading only needs to be performed once and it does not have anything to do with Python virtual environments. You will not be able to get around this process. My guess is that you may be confusing the Softmax layer with function? Or perhaps the combination of Keras + TensorFlow you used to train your model is too new (or too old, depending on your version) for the pre-compiled version of Keras + TensorFlow for the Pi. I want to do something like this but with a thin-client server model. Can you think of a way I might be able to have my webcam plugged into the Raspberry Pi setup as a PiNet LTSP client and run OpenCV, Keras, Tensorflor on the server? My concern is that if I just install them through PiNet I won’t get any benefits in speed increase because my server is x64 and the Pi is ARM. I have also signed up to googles new TPU clould. I’m not really familiar with PiNet. Depending on the size of the network and the FPS throughput of the model you might be able to get away with running the network on the Pi, but most likely you’ll want to push the computation to a separate system or the TPU cloud. Google should provide an API to do that (I’ve never used that TPU cloud before). Otherwise, take a look at message passing libraries such as ZeroMQ and RabbitMQ so you can send frames from the Pi to a server with more processing power. Hello, will this tutorial work for python 2.7.9? Yes, it will work with Python 2.7. I installed the imutils, scipy, atlas, everything ok, and I’m at the Tensorflow installation step. As Kaisar Khatak said, Tensorflow 1.9.0 can now be directly installed with “pip install tensorflow”, so skipped the manual installation and now I’m at the Keras installation step. So, since I have Tensorflow 1.9.0 installed, can I also skip the Keras installation step and directly use the “tf.keras” API to continue with the Santa Detector setup? Additionally, do this updated compatibilities make possible to use Python 3 for the whole project? 1. Yes, now that TensorFlow is pip installable you can now use Python 3 for the entire project. 2. You could use “tf.keras” but I highly recommend you install Keras as well and use the Keras package as I have done in this tutorial. Perfect, thank you very much Adrian! /home/pi/.virtualenvs/not_santa/local/lib/python2.7/site-packages/keras/engine/saving.py:304: UserWarning: Error in loading the saved optimizer state. As a result, your model is starting with a freshly initialized optimizer. I don’t think they are critical, the rest is working fine, it was just to update you! Today I will try to create a Python 3 virtual environment and see if everything is working fine, too. Those are just warnings. They can be safely ignored. The “red thermometer” means your Pi is overheating and ultimately shutting itself off. Try to cool your Pi. Hello Adrian. First of all thanks for a great tutorial. After a while it goes of to screensaver mode and if i click on the mouse it shows me the screen but if i try to move the cursor then nothing happens. Can i restart the virtualenv or should i start over completly? The last time I Installed SciPy on my Raspberry Pi from scratch it took at least 6 hours. I don’t remember the actual hour count as I let it run overnight. However, SciPy should be on PiWheels so you shouldn’t have to install it from scratch. What version of pip and Raspbian are you using? I have left it for more the 12 hours and i think my Rpi just froze or something. Anyway.. the next morning i restarted the Raspberry and the installation of SciPy and it took about 1-2 hours. So something spooky was going on i guess. My pip version is 18.1 and im using Stretch as you mention in your tutorials. And it works now!!! Awesome, I’m glad that worked for you! LOVE LOVE LOVE. Merry Christmas Adrian – you make it fun. For some reason the only way I got it working was when I didn’t install using SUDO … which I can’t quite understand. But if someone comes across it. I was in the NOT_SANTA virtual env. When I tried to run the command, with SUDO it said it was installed … but the import wouldn’t work. Hi, Adrian. Is that possible to train the model with Keras 2.2.4 and deploy it in Raspberry Pi with Keras 2.1.5? Keras 2.2 marked a significant update in the Keras library and while Keras does an incredible job with backwards compatibility I’d be a bit cautious.